Eye shadows that don’t crease! After pinkie swearing with my best friend Rose that I wouldn’t purchase any makeup this past weekend I stopped into the M.A.C store on Newbury St. and immediately fell in love with everything. Their new Sugarsweet Collection has these fun tri-colored glosses and these amaaaaazing shadesticks. I need to take a moment to discuss how fabulous the shadesticks are. I purchased the shadestick in Candy Shop and wore it all day on Monday. 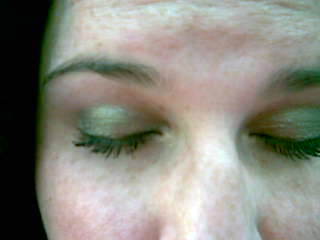 I dusted a little bit of the M.A.C Sumptuous Olive eye shadow over my lid and let me tell you…I can’t stand it when my eye color creases and this didn’t move all day! I swore to myself that if this product didn’t crease that I would go back and buy every color. 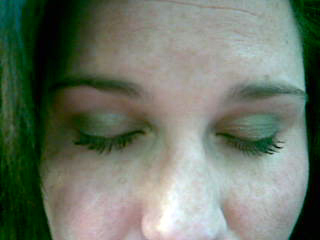 I know it seems a tad extreme but I have really oily eye lids (TMI?) and I have such a hard time finding eye color that stays put! I have to say I think I’ve found the Holy Grail of eye colors. And because I am incapable from walking away from anything brand new, I did purchase the Tricolour Lipglass in Consume Me. It’s a perfect sparkly pink that’s going to go great with my summer tan!